Enter your info below to get instant access to our TOP SECRET web special and schedule of Krav Maga Madison classes. Please note the discount offer expires at the end of this month, so hurry! 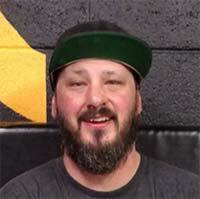 My name’s Alex Andreev, and I’m the Director of Fight Prime Training Center in Madison, WI. 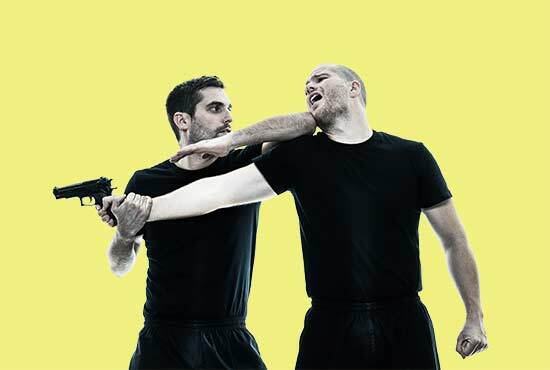 Our cutting edge classes are based on the self-defense system developed for the Israeli Military. If you’re like so many of the people who have come to our Krav Maga program, there’s a good chance that..
You’re sick of feeling out of shape, not taken seriously, or uneasy in situations. You want your confidence back. Krav Maga is a very “mental” self-defense system. This means that it’s not about how much physical strength you have. It’s about your mindset and your awareness. Through Fight Prime’s Krav Maga Madison classes, your confidence will grow… your self-control and confidence will skyrocket… and your awareness over yourself, and the choice you make, will become keen. That way you can steer yourself to live the kind of life you truly want and deserve. When you start wearing those clothes you packed away that got too tight… or buying a whole new wardrobe…and getting compliments left and right about how lean you look… you’ll feel great. Your confidence will sky-rocket, and as a result your life will suddenly seem even more fun, and more exciting. It’s a wonderful thing to see – and fortunately I get to see people go through this transformation every week. When you start wearing those clothes you packed away that got too tight… or buying a whole new wardrobe…and getting compliments left and right about how lean you look… you’ll feel great. Your confidence will sky-rocket, and as a result your life will suddenly seem even more fun, and more exciting. It’s a wonderful thing to see – and fortunately I get to see people go through this transformation every week. No rituals, bowing, or bull. Krav Maga focuses on real-world scenarios where your goal is to understand your options, neutralize the threat, and get home safely. Even though we’re mastering the moves of the Israeli army here… the environment is NOT like the military! No one will be in your face yelling at your or anything like that. We’re all about fun, and results. There’s nothing harder than getting in shape and losing weight on your own. This is the reason why so many people don’t reach their fitness goals: they don’t have friends and buddies to keep them on track. At Fight Prime, you’ll meet amazing, awesome people in your classes who will keep you on track, motivated, and excited to come back. We work hard to make sure our Krav Maga Madison classes are safe and hygenic. That means DAILY top-to-bottom cleaning and up-to-date equipment. Fight Prime is not a club. We’re a premiere Academy that focuses on developing life-long students. Krav Maga isn’t our “hobby” – it’s our lives 😊. Whether you’re a pro, first-timer, or somewhere inbetween – you’ll get just what you need from these classes. Everyone is supportive and dedicated to keeping the team atmosphere alive. You’ll fit right in, we promise. I always painted martial arts classes to be weirdo cult activities. I mean you wear these uniforms and have to bow to people and it just really didn’t seem like my kind of thing. It’s totally raw and REAL. You don’t learn anything that you don’t need. You only learn what you will help you in a real world situation, and nothing less. Honestly, you just show up, have a ton of fun, and immediately start learning how to defend yourself. The other night I was out with a couple friends. Some guy who had too much to drink came up to us and start getting really hostile, like he might start a fight. The thing is, even though I was with 4 other guys… I locked up. It was like I froze. The way the guy was yelling and waving his arms around just caught me off guard, and I was worried for myself and my friends. I felt really embarrassed afterward. Ashamed. As a man, society expects you to be this “Rambo” guy who can handle himself. I don’t wanna be Rambo or anything, but I at least want to know that I can defend myself. I haven’t been taking Krav Maga for very long. But even with the short amount of time I’ve been learning – I know for a FACT that if anything like that ever happened again, I’d be able to defend myself and my friends. I don’t mean to say I wanna go around picking fights or anything. But sometimes fights find you. And if another one ever does – I’ll feel safe, for myself and whoever I’m with. The instructors are friendly, knowledgeable and genuinely care about the people putting their time/money into training. I can’t recommend this Krav Maga Madison Academy enough. Walking through the door and giving them a chance was the best decision I’ve made for myself in a long time. As a woman, self-defense has always been of interest to me. It’s no fun walking down the street at night and being scared of every guy you pass. I think every lady should at least know how to handle herself. ONE Krav Maga Madison class – and I mean just ONE – taught me more useful, usable tactics than any class I’ve ever taken. I’m not saying I’m a martial arts pro or anything – but I now feel confident that I could defend myself enough to run away and get help. Krav Mag (pronounced “KrAHv MugAW”) a is not a martial art. There’s not katas, no rituals, or nonsense. This self-defense system was developed by for the IDF (Israeli Defense Forces) and is a collection of reality-based techniques from Kickboxing, Judo, BJJ and Wrestling. Krav Maga Madison classes teach you to react effectively (and violently) to life-threatening situations, then get away safely. Membership prices for Krav Maga classes in the Madison, WI Area can vary a lot. Fight Prime has over 8 different flexible membership plans to help make us the most affordable option in the area. On top of this, we run monthly specials to give you even more value. Before you decide which payment plan is right for you, schedule a trial lesson with us by calling 608-665-2155 or sending us an e-mail. Many people asks us if they should get in shape before starting Krav Maga Madison classes. Our answer is always: Krav Maga will GET you in shape! Many of our students, no matter what their starting fitness level is, greatly improve within just a few short weeks.. Even if they were never athletic before joining class. From total beginners to experience marital artists, the dynamic routines and powerful movements will get you into the best shape of your life. Lean, fit, feeling great and having a blast in class! We’ll help you get there. Krav Maga practitioners are never the ones to start fights. They’re the ones who do everything in their power to avoid fights. So no, Krav Maga is not violent. We hardly EVER see any injuries in our Krav Maga Madison classes. Krav Maga Madison students who learn quickly are just as valued as the ones who need to slow down, and learn at a different pace. Enter your info for instant access to our TOP SECRET web special and schedule of Krav Maga Madison classes. Please note the offer expires at the end of this month, so hurry!